Ask me to join your Mt. 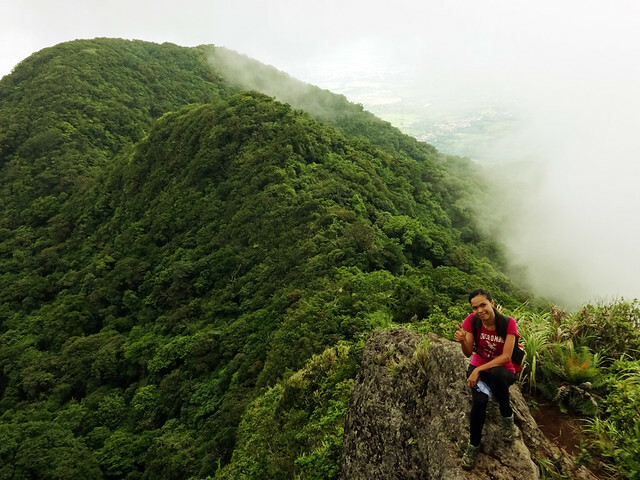 Makiling hike (lalo na kung MakTrav) and I might find it hard to turn you down. 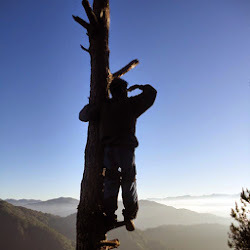 It is my favorite training ground, the mountain of choice to catch up with my hiking. Not to mention, it has a special place in my heart. My buddy asked me to join their Mt. Makiling Traverse. I said yes with no hesitation. 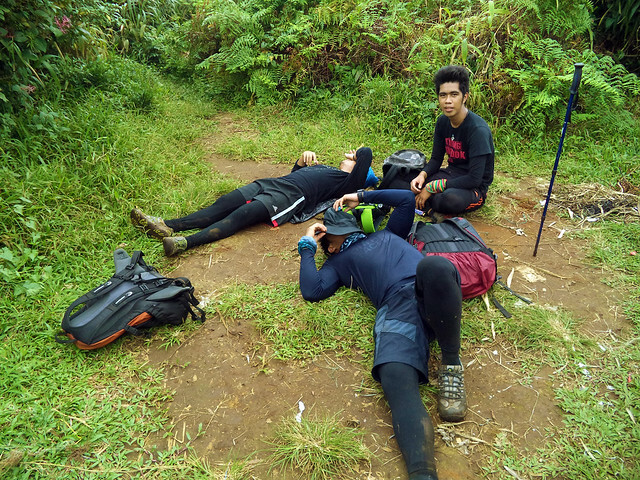 Still tired from yesterday's failed attempt of Nasugbu Trilogy, I happily guided a group of hikers (mostly composed of usual hiking buddies) at the familiar trails of Mt. 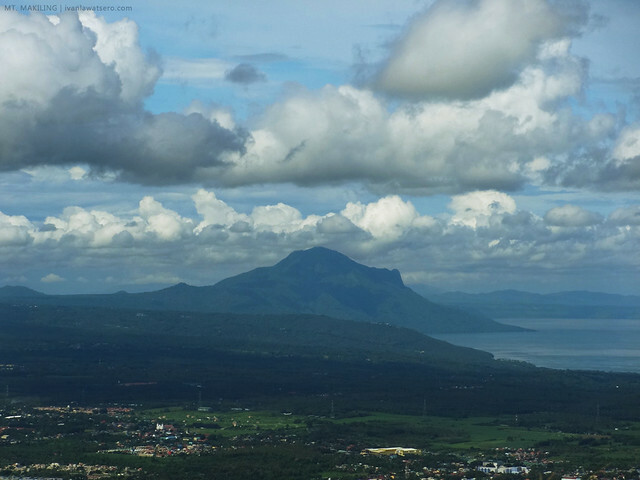 Makiling from Sto. Tomas to UPLB. It wasn't a perfect clear day, clouds lingered at heights of Melkas, but still most of the time, spectacular views were revealed. 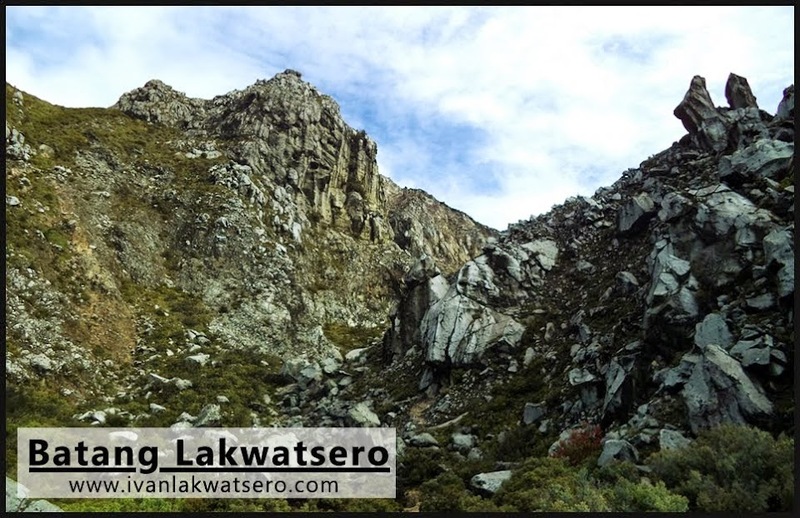 Right after passing through the series of roped segment of Melkas, rain fell down, even intensified as we entered the Wild Boar Trail, as a result, we moved hastily towards Peak 2. Although the rain did not run long, it left the trail muddier. Meaning it's more slippery. But the slippery, muddy descent of UPLB can't put us on halt, nor slow me down. 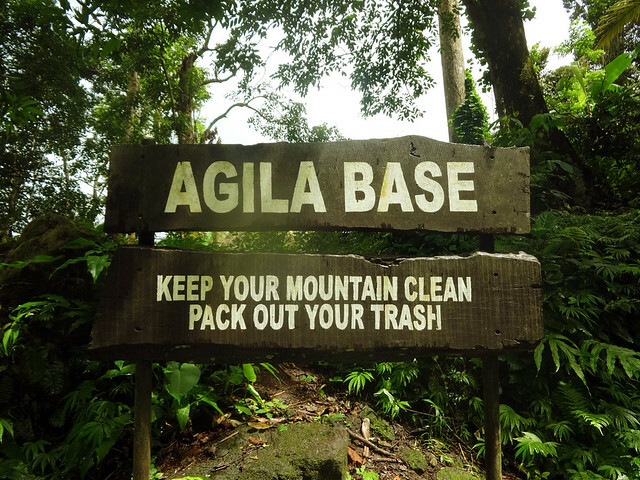 In every MakTrav I successfully did, I've always been running the trail down to Agila Base. Sobrang sarap sa feeling. At 01:20 PM, we're already at Agila Base. From there, Station 1 (liguan) would be just an hour (if walked) or 30 mins (if ran). Of course we walked since I was after a Lomi meal at Ate Glo's canteen at Nursery. We finished the hike at 3:50 PM. And again, after only a couple of months, I hiked Mt. Makiling. A week before the date, I had this sudden urge of doing another MakTrav (my 9th) now that it's been promoted to being a Heritage Park (the 5th in the Philippines). Well I guess, the call of Mt. 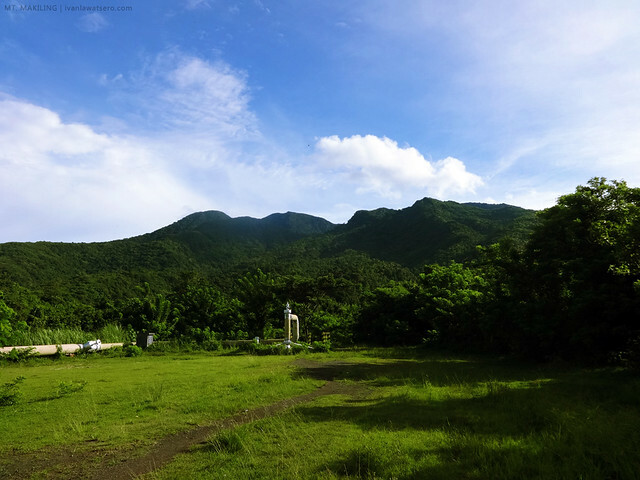 Makiling is one of the most difficult things to resist, at least for me. This time I was joined by three gents, all are MakTrav virgins. 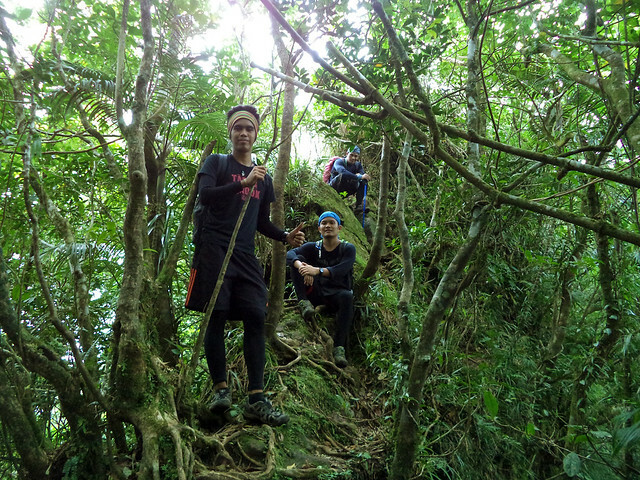 Confident of myself, I headed our small group, taking the usual Sipit Trail from Sto. Tomas to UPLB, but for some strange reason... WE GOT LOST! Take note, that it's my 9th time hiking this mountain. We lost two precious hours in the wilderness hoping that the right trail would eventually emerge. But it did not. Luckily, an old man came out of nowhere and gave us right directions. Thanks so much. It just took a few more minutes before we're thankfully back on track. 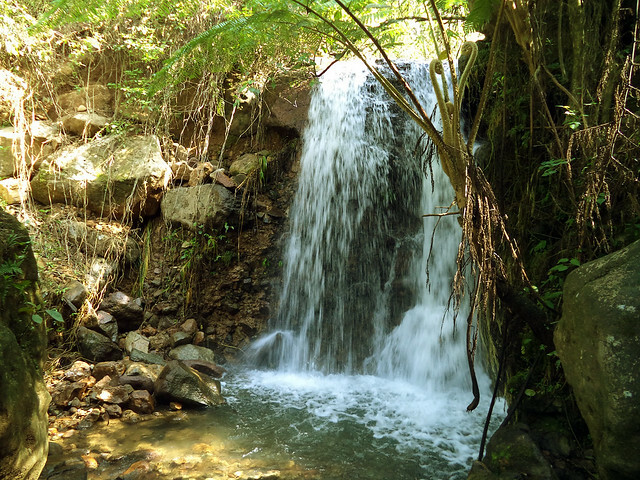 Another strange (and wonderful) thing in this hike is that we encountered a waterfalls along the trail, something I've never seen before. It's just a small cascade but interesting still. we reached Peak 2 at 12 noon. Power nap muna. The hike was done quickly. At 12 noon, we reached Peak 2 already. 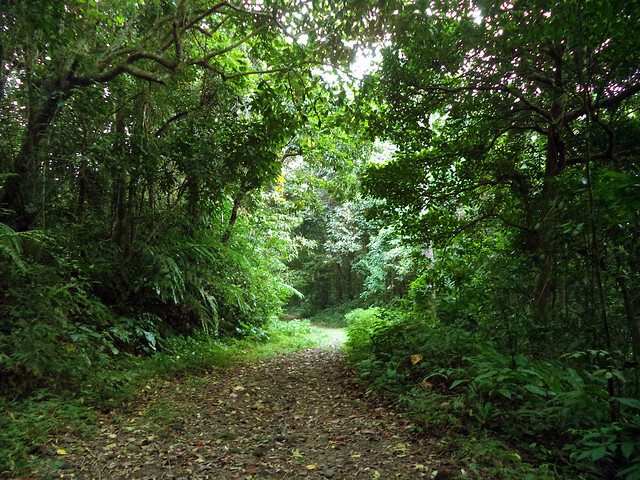 And again, of course, the trail can be ran towards UPLB. We're already at Agila Base an hour after. Hi just want to share to you the recent condition of Mt Makiling UPLB trail right now. It seems like DPWH is planning to have the road cemented all the way up to Station 15, which I think is not good. So far, the road extends up to Flatrock area.